Being partially sighted and night blind, the commute home from work used to be a nightmare for Rod Tam. Rod is a credit adjudicator at a financial institution. Working in Vancouver, but living in Coquitlam, Rod has to make the trek to and from work every day of the work week via transit. The bus loop on his way home is a wide open space and poorly illuminated. “Finding the bus stop on my own was an impossible endeavour,” he says. In August 2015, the assessor conducting a workplace accommodation assessment at his office referred him to the Neil Squire Society’s Technology@Work Program to help him overcome his barrier. 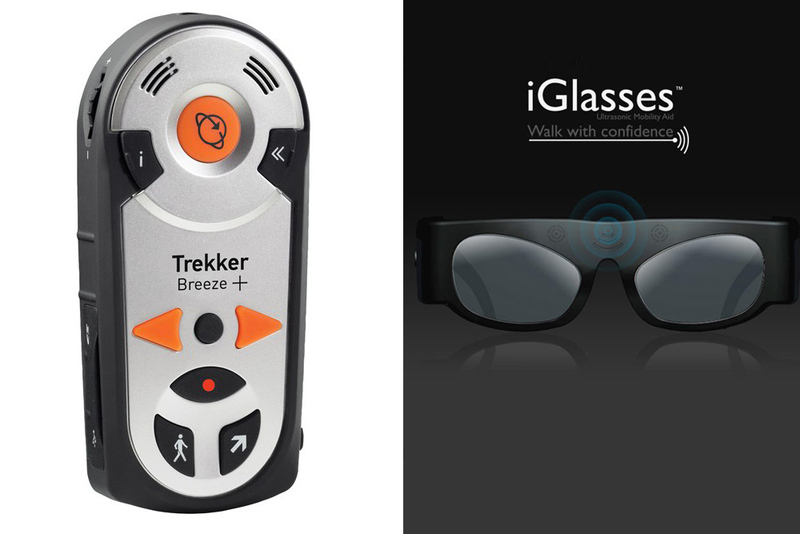 The Technology@Work team promptly found an assistive technology solution for Rod — the Trekker Breeze+ Talking GPS. It announces street names and upcoming intersections. The talking GPS also allows the user to program landmarks towards which it will guide. By September, the device was delivered and a two hour training session was arranged at the CNIB. However, Rod still faced a problem. Though he has a mobility cane, he found himself bumping into people and getting stung by twigs on low-lying tree branches. “When I am out on the street, I must carry a mobility cane. But it only has a limited coverage,” Rod explains. iGlassesRod became aware of object detection glasses called iGlasses™ Ultrasonic Mobility Aid. They use ultrasound bouncing off objects to alert the user to nearby objects. When Rod brought it up to the Technology@Work team, they immediately contacted the supplier and sent a pair to Rod for testing. In no time, his journey home became much easier with the iGlasses. Now, Rod’s commute is no longer a burden.